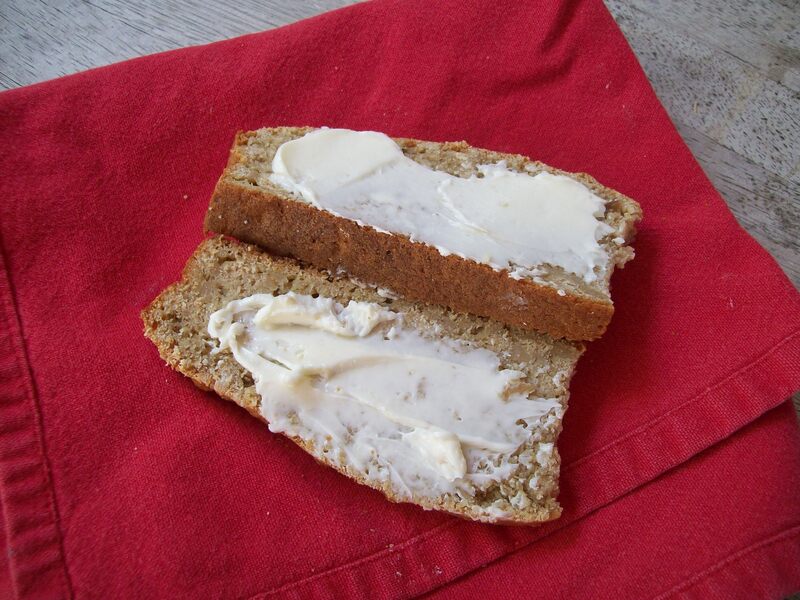 This bread isn’t an “apple bread” in the classic sense – it’s far more savory than sweet. I use this recipe as a way to get a loaf of homemade bread on the table without needing to allow time for rising. The apples replace any sugar or honey that might be in a typical bread recipe and provide a lot of moisture, so the result is a moist, cakey bread with a tender crumb structure that’s perfect spread with butter and served alongside a bowl of your favorite soup or stew. Preheat oven to 400 degrees. Lightly grease a 9 inch round cake pan and set aside. Mix together the flour, baking soda, and salt. Add the diced butter and blend until the mixture looks like coarse breadcrumbs (this will be easier if you use a stand mixer with a paddle attachment, or a food processor). Add the apple and egg and mix thoroughly. Pour in the buttermilk and beat just until you have a wet batter. Pour the batter into the prepared cake pan and bake at 400 degrees for 50-60 minutes, until a skewer inserted into the middle of the bread comes out clean.